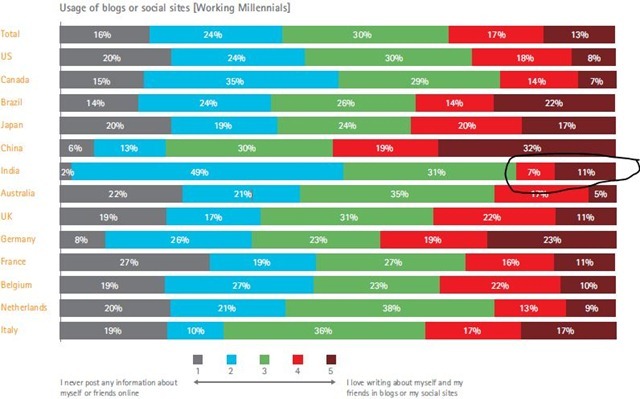 Generation Y or the Millennial‘s or the Young Indians are the most technology oriented people compared to their global peers – This is the finding by Accenture’s survey on global research on Millennials’ use of technology. 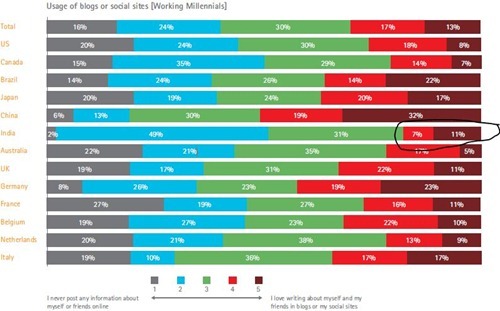 If you are not aware, Millenial’s are generally referred as people who are between 15 to 30 years of age ! The Accenture survey has some very interesting finding’s about Young Indians especially their tilt towards use of State-of-Art technology – They are very biased towards open source as well ! 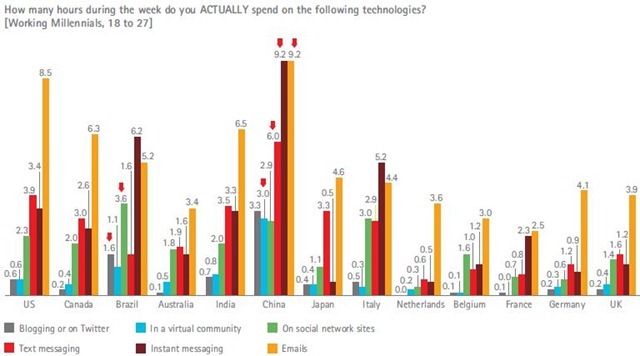 2 How many hours during the week do you ACTUALLY spend on the following technologies? How many hours during the week do you ACTUALLY spend on the following technologies? Chinese spent maximum time in using Online real-time communication tools like Instant Messaging and Email. Indian Millennials are also spend considerable amount of time – Close to 6.5 hrs in a week is spent on email, 3.3 hours on Instant messaging, 3.5 hours on mobile text-messaging and 2 hours on social networking sites. Also, most of these hours spent happen to be from home (and not from office). 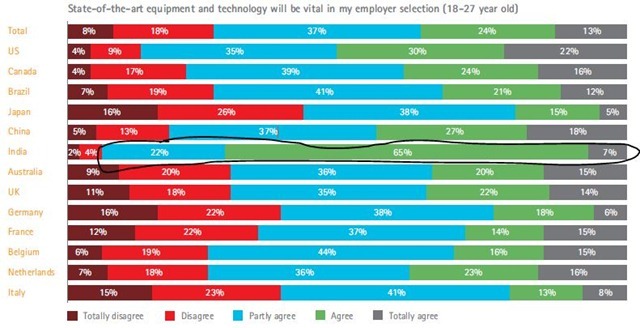 Broadly speaking, Millennials in China, India, and Brazil lead the world in use of emerging technologies for work purposes, while most European countries and Japan are lagging behind ! percent), and France (46 percent). the Netherlands at 85 percent, Italy at 66 percent, and the United States at 64 percent. friends online is found in China, Japan, and Brazil. and 57 percent of Millennials in those countries complain that nine of the 13 surveyed corporate technologies do not meet their expectations. Of all the technologies mentioned, social network sites have the greatest usage unsupported by the employer, with over 40 percent using social networks in nine of the 12 countries. Countries that have the highest technology usage and expectations, such as India and China, use fewer unsanctioned technologies, largely because they receive more employer support of emerging technologies. Rates of using a mobile phone for work are higher in India and China – 91 percent and 88 percent, respectively – than in the United States, at 58 percent. I can only imagine, the amount of frustration Young Indians must be having – with such heavy inclination towards technology, but such poor online infrastructure available to us…Alas ! This is pretty awesome!! Indians do not get the high speed internet connectivity or the low price broadband, even though we have very low availability of infrastructure we make sure we take the best of it, god knows where this stats may reach once we get all the modern infrastructure.